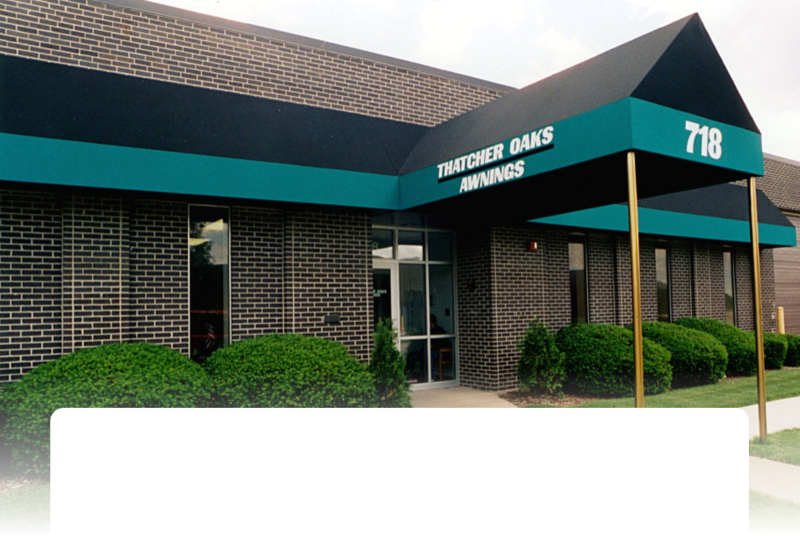 Thatcher Oaks Chicago Awning Company has one goal - to make the best Commercial Awnings and Canopies in Chicagoland and Northwest Indiana. Improve your visibility and brand your business with your own custom design, graphics and logo. Custom Patio Fencing enclosures increase your restaurant’s seating. Stationary and Retractable Awnings, Custom Vestibules, a Walkway Canopy, or Standing Seam Metal awnings - we work with you to give your business the image you want. Call us for a free consultation and estimate at 630-833-5700.